Another fleet of mining trucks will join the growing ranks of machines operating autonomously using Caterpillar Inc. systems in Australia next year, reflecting the company’s push to cement industry partnerships with proprietary technology. But unlike an announcement in the fall of a different Australian mining operation signing an agreement with Caterpillar to retrofit a mixed fleet of about 100 trucks with Cat’s autonomous technology, the latest deal will see the mine operator using different systems for different brands of equipment. 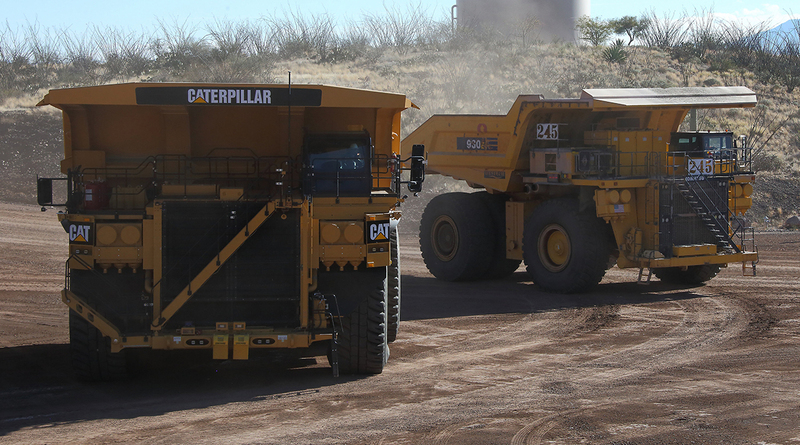 Rio Tinto signed an agreement with Caterpillar to retrofit 19 Cat 793F mining trucks at its Marandoo iron ore mine in western Australia, marking the first time the company will deploy an autonomous Caterpillar fleet at one of its sites. Retrofits will begin in mid-2018 and be complete by the end of 2019, with Caterpillar and regional dealer WesTrac continuing to manage and support the autonomous system after installation. Rio Tinto has been using autonomous equipment, however, since 2008 and will expand its fleet of autonomous Komatsu trucks at the same time the Caterpillar system is being installed. Caterpillar developed its autonomous system with the ability to retrofit competitor vehicles — specifically Komatsu trucks — a capability that will be utilized by mining operation Fortescue beginning next year. In September, Caterpillar and Fotescue jointly announced an agreement to retrofit about 100 Cat and Komatsu trucks with Caterpillar’s autonomous technology and operate them under the same system. Rio Tinto will retrofit 29 Komatsu trucks beginning next year at its Brockman 4 operation, adding to its fleet of about 80 trucks already operating under Komatsu’s autonomous system. Once both retrofit projects are complete, about 130 of Rio Tinto’s rucks will operate autonomously, representing about 30% of its fleet. Though no drivers are needed, the company still will have about 400 people monitoring its autonomous operations in the Pilbara region of Australia from its Perth Operations Centre. Rio Tinto Iron Ore chief executive Chris Salisbury said the company will explore the possibility of further autonomous operations with productivity, safety and shareholders in mind. Rio Tinto already operates six fully autonomous drill systems and recently completed its pilot run of a fully autonomous heavy haul train — the first of its kind in the world.